My parents were always seeking things to do with my two brothers and I to preserve their sanity and avoid us burning the house down. Family camping trips were the go to activity. I learned to love travel then because it meant complete freedom. The better portion of my life has been spent traveling to new places, distant countries and vast wilderness areas. The beauty of the mountains is something I now know, having backpacked for over twenty years in the Colorado Rockies, Sierra Nevada's, Peruvian Andes, Cascades, Alaskan Chilkoot's and many other mountain ranges. 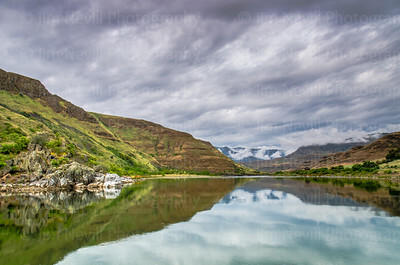 This Mountain & River gallery includes photographs I took along the way, of grand places that inspire hope, strength, abundance, tranquility, solitude and gratitude. Eastern Sierra, Near June Lake is the most pristine alpine views in all of the 395 Corridor. 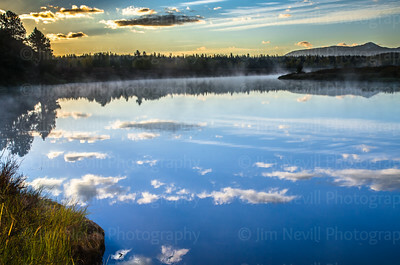 This photo was taken on a crisp pre-dawn morning with my tripod setup in the lake itself. Sunset along the Russian River, 11-22-15. On so many levels this particular night stands out as one of the best I have ever witnessed at this location. I'm sure that in the autumn sunsets near here are frequently beautiful but when you add up the sky, the calm winds, the slow flow river, rather vibrant afterglow and the fact that me and my kids were sharing high fives - it counts as pretty all-time in my book. 52mm, f/8, 1/6th, ISO 64. This iconic perspective made famous by Ansel Adams is like a homage and visit to mecca for any would-be landscape photographer. The most amazing thing about shooting wild places like this is the fact that even though it's been captured a million times, not one photo is just like this, as I was the only person present during this particular shoot. Opportunity always exists. Taken near South Lake Tahoe 11/12/2013. This time of year, before the rain and snow choke this canyon with rapids, the river looks more like a quiet creek and the autumn colors really show. The sun was setting and the tree grove on the right created a beautiful natural filter. 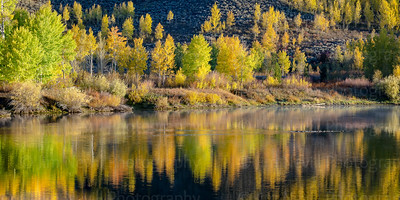 Snake River at Dawn is a 180 degree reverse shot taken momentarily after the "Teton Reflections" shot taken in the other direction. As I write about in the caption, due to park closures I was the only here this particular day - making these images true one-of-a-kind. For whatever reason I was having a hard time giving this photograph a title. It was taken in the Rockies a few minutes before a storm unleashed its fury on us. The clouds looked dark both because they actually were plus I had a 3 stop graduated ND filter across the top third of the shot, which accentuated the contrast. No HDR, bracketing or overlay - one snap of the shutter. Winner received a signed 10" x 15" print. THE WINNER WAS RICHARD GREENBERG from New Jersey who came up with "Tipping Point" - the perfect name for this moment. Congratulations! 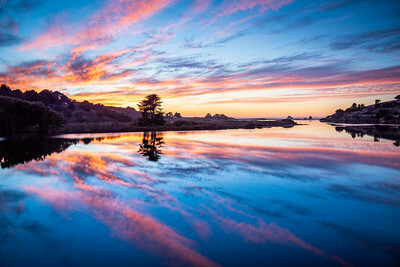 The coastal town of Jenner is located near the coast of Sonoma County. This morning the conditions were very calm and the Russian River was not flowing. This vantage point captures the tranquility and serenity of the town. 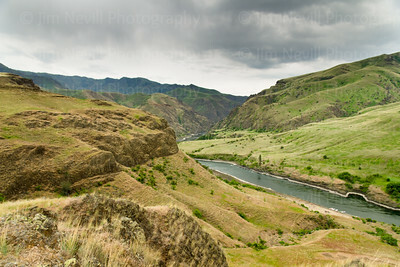 In May 2015 I had the opportunity to lead a group of teens down the Snake River in Idaho's Hells Canyon, the Seven Devil's Range of the Rocky Mountains. The weather ranged from 85 degrees, hot and dry - to nautical grade rainy with lightning and thunderstorms. 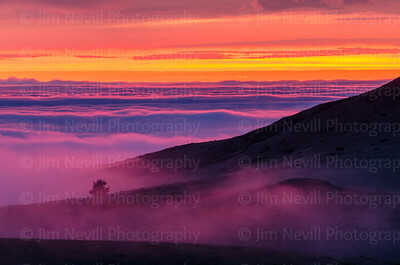 This photo was taken during the clam early hours as the storms gathered steam. It looks almost surreal but this is not an HDR image, it's a single exposure, handheld shot taken at f/10 from a raft floating in the middle of the river. This shot is not color enhanced and looked almost exactly like this depiction in real life. 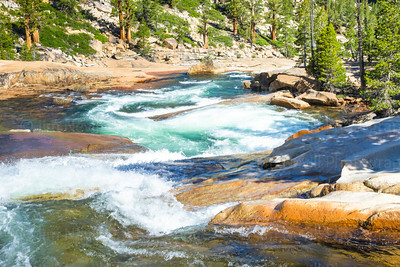 It took 2 days to backpack to this location deep in the Grand Canyon of the Tuolumne, a grueling hike honestly, but with scenery like this I was easily distracted from my cramping legs and pangs of thirst. The colorful and erosive rock formations left by the river, this year running at 30% lower than normal, were a spectacle to see. Yosemite National Park. There are only a few places in the US that I know of where you can see this level of alpine beauty without 'earning it' with a long and arduous hike. 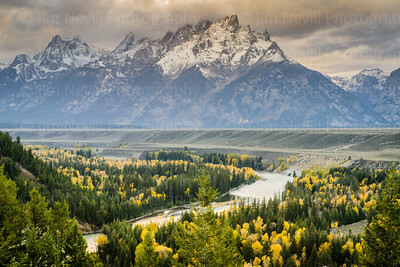 Yosemite comes to mind, so does the Great Smoky Mountains, Colorado's Rocky Mountain National Park and of course everywhere you look in Alaska but this place, The Grand Teton National Park is a whole other thing. 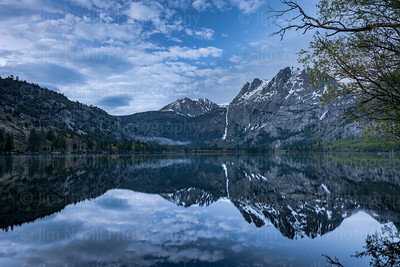 For all of you with a desire to see big mountains set in front of pristine rivers and lakes, but have an inability or lack of desire to trek long distances on rugged terrain to get there - go to Wyoming. Trust me on that. :). 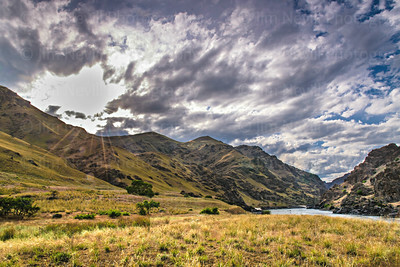 In May 2015 I had the opportunity to lead a group of teens down the Snake River in Idaho's Hells Canyon, the Seven Devil's Range of the Colorado Rocky Mountains. The weather ranged from 85 degrees, hot and dry - to nautical grade rainy with lightning and thunderstorms. This photo was taken after a long night of rains as the blue skies were pushing through the recently broken up storm clouds. It looks almost surreal but this is not an HDR image, it's a single exposure, handheld shot taken at f/13 from a raft floating in the middle of the river. The Columbia River Gorge is about 40 minutes outside of Portland, Oregon. A vast and lush region, mostly accessible by just a short walk and the nature is pure spectacular rainforest, even by Hawaiian standards. 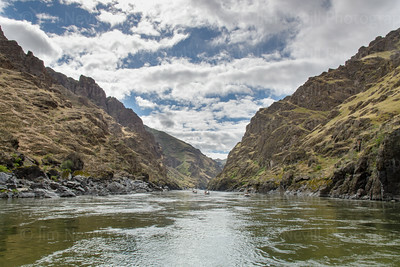 In May 2015 I had the opportunity to lead a group of teens down the Snake River in Idaho's Hells Canyon, the Seven Devil's Range of the Colorado Rocky Mountains. The weather ranged from 85 degrees, hot and dry - to nautical grade rainy with lightning and thunderstorms. This photo was taken after a long night of rains as the blue skies were pushing through the recently broken up storm clouds. 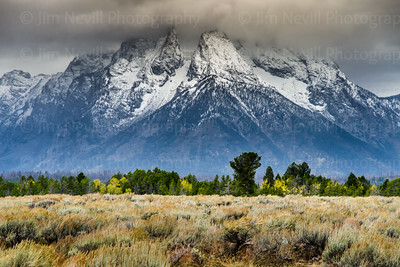 Shot on September 30, 2013 in Grand Teton National Park during a huge storm that mixed hail, 60 mph winds and rain squalls, this moment was a brief break in the storm and one of the first views I actually go to have of the distant mountains. This perspective is the definitive view of Yosemite Valley, looking towards the east from the valley floor. 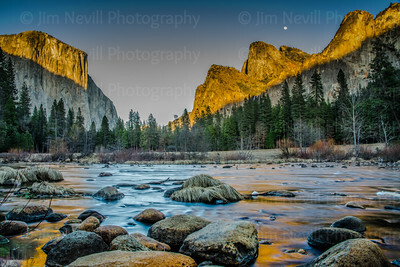 During this multi-layered moment the upper half of El Capitan, Bridalveil Falls and the south rim were illuminated by the sunset which cast that orange glow. 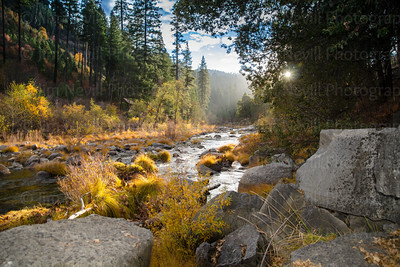 The full moon was rising over the Cathedral Spires and the long exposure balanced the lack of foliage by allowing all that color and soft flow of the Merced River. 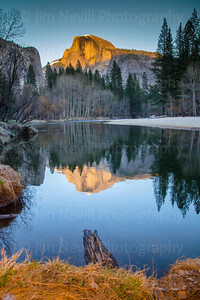 Late winter dusk in Yosemite National Park. 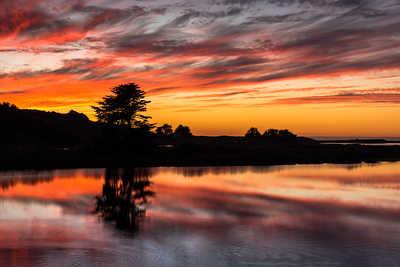 This sunset was shot from the boat launch near the Russian River Mouth in Jenner, CA. Plenty of parking, no better place to sip some local wine and enjoy they show. Where the Russian River meets the ocean in Jenner, CA. 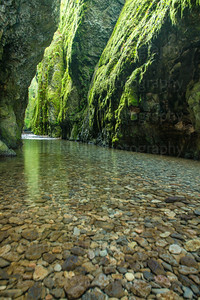 The Columbia River Gorge is about 40 minutes outside of Portland, Oregon. A vast and lush region, mostly accessible by just a short walk and the nature is pure spectacular rainforest, even by Hawaiian standards. In the winter this gorge is swollen with the rush of watershed, but in early fall after a few years of pacific northwest drought the creek bed is about as dry as it gets. It seems that this incredible slot canyon is spectacular no matter what natural phenomena is occurring there. 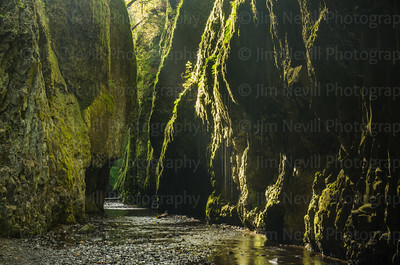 In this shot I took a long exposure to highlight the water droplets dripping down the canyon walls at first light. Shooting the autumn colors in the mountains is fun but really difficult. In a way, it's been done and I prefer to make photos that are new. 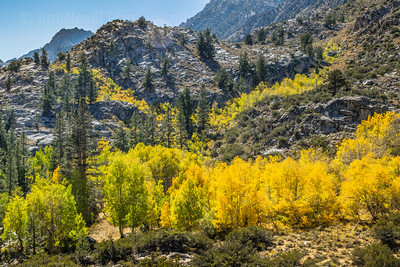 On this particular shot I hiked a few miles back into the high country of the Eastern Sierra and found this visually stunning and diverse scene. 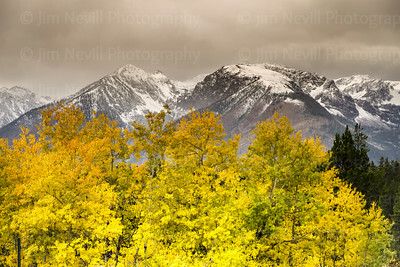 In the foreground are sage brush and aspen trees just beginning their transition from green to yellow. 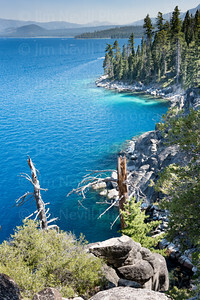 There is a vein of conifers and aspens that made their way up the hillside growing on a thin ledge that added that unique flavor and accented color to the shot. In the distance is the entrance to the steep and rugged John Muir Wilderness. Half Dome in Yosemite National Park is always amazing to witness- although it is not technically 'half' of a dome. It is more like 80% of a dome and the other 20% has eroded away leaving this monolithic vertical rock face. But with spectacular beauty like this who's counting? This vantage point is popular for photographers - such a classic but every day is different and to my surprise on this day, I was the only one here. I composed this photo to include more of the foreground and riverbank to show the full scene - not just it's more commonly shared elements. Natural color during the sunset of the decade, a storm was approaching which you could feel it in the air. I could see lightning strikes occurring around me. The calm before the storm devoid of wind and birds, deer and other animals. The sun had just set behind the far right hillside and diffraction off the water molecules dragged the deep pink and purple afterglow, bending the corner and making it into the valley in front of me. 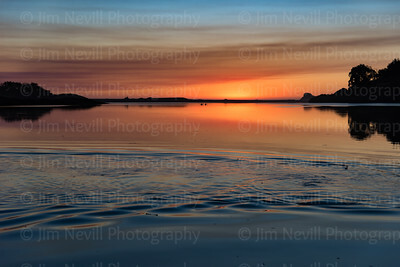 As a wilderness guide and surfer I have seen many spectacular sunsets but never like this. This result of this single frame capture looks close to how it looked in real life, actually in real life it was better. 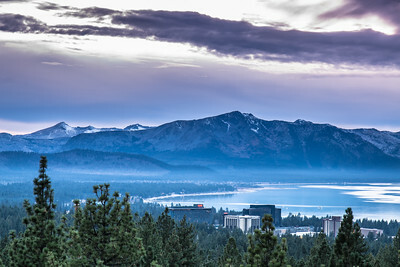 With a commanding view of Mount Tallac and a corner office to South Lake Tahoe - Stateline, NV is a pretty epic place to live. I shot this photo from a new vantage point that I've dubbed "Logan's Landing" named after a friend's 14 year old son who brought me here. 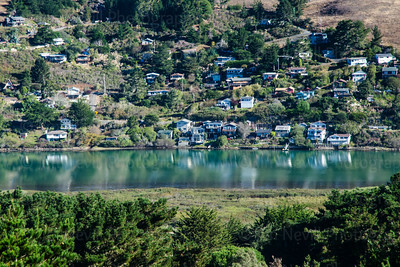 When this photo is blown up you can see intricate detail in the village and waterfront below.